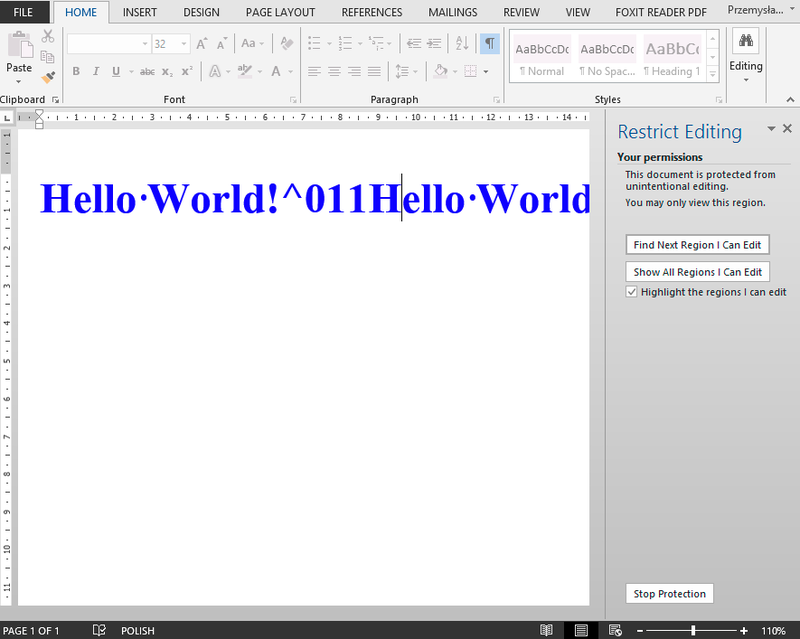 Following code is an example on how to add protection to Microsoft Word document using C# without needing to have Microsoft Word installed. // But it's also possible to add restrictions without protecting it with password. After opening Microsoft Word .docx document and trying to edit it (HelloWorldWithPasswordReadOnly.docx) following Restrict Editing option shows up requiring user to stop protection before being able to continue.